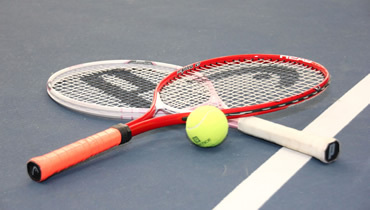 HealthTrack has a Women’s Doubles League on Tuesdays, 1-2:30pm. There are 2 courts reserved for this league. Format: 10-minute warm-up followed by three 26-minute rounds. A rotation sheet will be provided for each week’s play. A new can of practice balls will be provided to each court. Registration: Registration is via Google Sheets. It will be emailed by Jay Huffer. You select the specific dates you wish to play. The dates available will always allow you to sign-up, up to four weeks in advance. Subs: When you get a sub, she must be at the Div. 2 or Div. 3 level of play. Players who do not play in the NITTL but are tennis members whose level of play falls in this category may sub. Cancelling: Please contact the tennis department if you’re cancelling and you were unable to find a sub. The cancellation fee is $20. This is regardless of whether the tennis department is able to find you a sub or not.